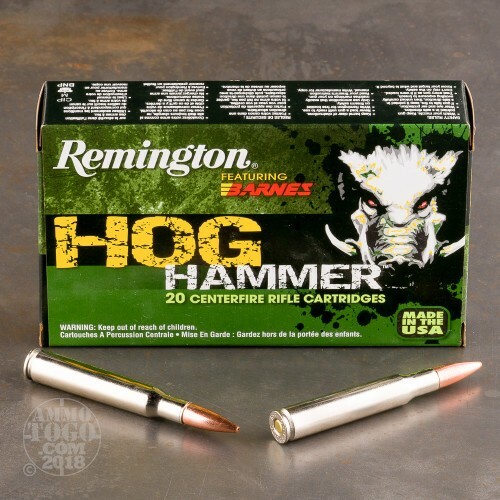 Hogs simply don’t belong in America, unless they’re being patiently taken care of on a farm until the day comes that they can be transformed into chops, tenderloins, and rashers. 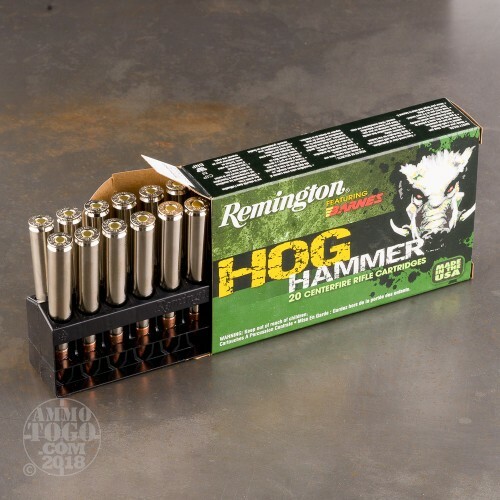 If you’d like to do your part to take care of the rampant wild hog problem, then you need Remington’s Hog Hammer line of ammunition. 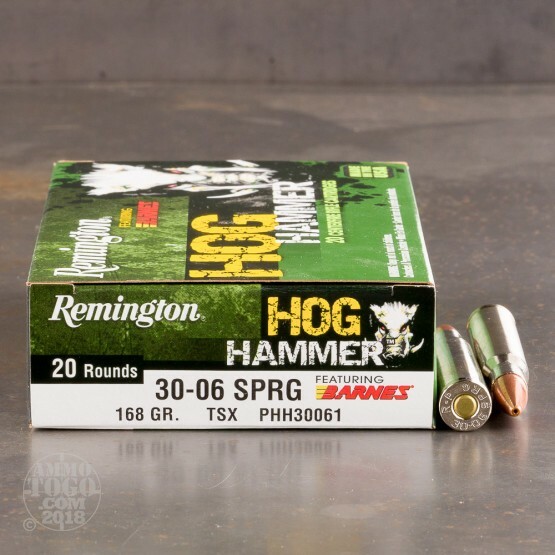 This 30-06 cartridge features Barnes’ 168 grain TSX BT projectile. 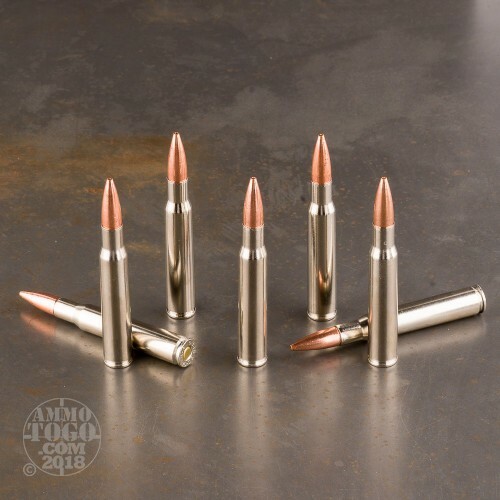 A TSX is made entirely of copper, so it’s incapable of core/jacket separation and thus able to penetrate far more deeply than a lead core bullet would likely be capable of. The TSX’s hollow point causes it to expand to produce four sharp cutting petals during penetration, absolutely savaging a hog’s tough body from within. A TSX is an inherently accurate projectile thanks to its precision heel radius, grooved shank, and sleek profile. Its boat tail further flattens its trajectory and enables it to shrug off wind drift. Because it is made of copper, the TSX also fouls very little and is permissible for use in California.